The senior Congress leader and former UPA defence minister, however, acknowledged that allocation to defence and national security has been raised. 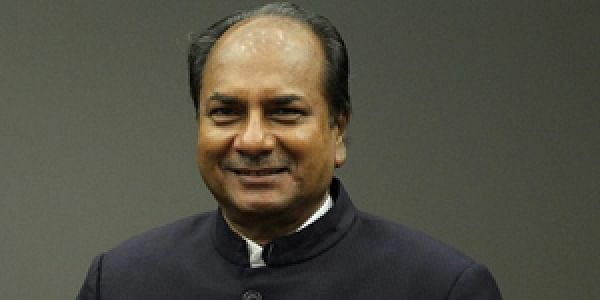 NEW DELHI: Former defence minister A K Antony today slammed the Union Budget saying it has allocated a substantial amount to capital expenditure while it should have focused on strengthening security system in the light of the spate of terror attacks last year. The senior Congress leader, however, acknowledged that allocation to defence and national security has been raised. "This time we have spent more money on defence, national security, but this year also this government surrendered substantial amount on the capital budget. For the last three years now, the government has surrendered money on capital procurement. "Even after repeated attacks on the borders and security establishments, even after the Pathankot, the Uri, and the Nagrota (attacks), instead of spending more money on strengthening our security apparatus, this year, they surrendered substantial money on capital procurement," he said. The overall defence budget for 2017-18 saw an increase of a 6.2 per cent for the next fiscal to Rs 2.74 lakh crore from the current Rs 2.58 lakh crore, with the capital outlay to cover the modernisation programmes getting a hike of 10.05 per cent. The capital outlay for the three defence services for the purchase of new equipment, weapons, aircraft, warships and other military vehicles stood at Rs 86,488 crore for 2016-17 as compared to Rs 78,586 crore for this fiscal.